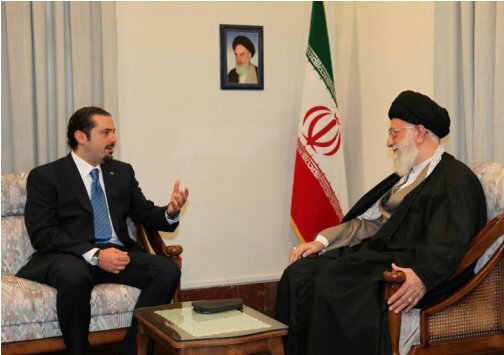 Hariri had started his last day in Teheran with a meeting with the Supreme Guide of the Islamic Republic of Iran Ayatollah Ali Khamenei, in the presence of the Lebanese delegation, and Mr Rahimi. The final statement: Support for the achievement of justice and determination to consolidate relations between the two states. 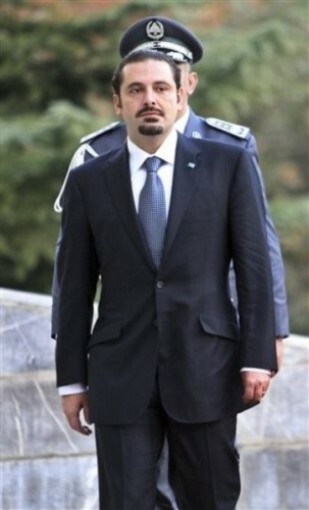 November 29, 2010 (KATAKAMI / PM Saad Hariri Official Website ) — The President of the Council of Ministers Saad Hariri concluded his official visit to Tehran this afternoon with a joint press conference held with the Iranian First Vice President Mohammad Reza Rahimi. The visit resulted in the signing of nine memoranda of understanding in the social and educational sectors. 1. A memorandum of understanding on the rehabilitation of disabled people signed by the Lebanese Minister of Social Affairs Salim Sayegh and the Iranian Minister of Welfare and Social Security Sadeq Mahsouli. 2. A memorandum of understanding on elderly care signed by Ministers Sayegh and Mahsouli. 3. A memorandum of Understanding in the field of child care services signed by Ministers Sayegh and Mahsouli. 4. A memorandum of understanding in the field of administrative reform signed by the Lebanese Minister of Administrative development Mohammed Fneish and the Iranian Minister of Housing and Development Ali Nikzad . 5. A memorandum of understanding on the protection of women and family affairs signed by Ministers Sayegh and Nikzad. 6. A memorandum of understanding in the fields of education and training signed by Minister Sayegh and the Iranian Minister of Education Hamid Reza Hajji-Babayee. 7. A memorandum of understanding in the field of cultural heritage signed by the Lebanese Minister of Culture Salim Warde and the Iranian Culture and Islamic Guidance Minister Seyed Mohammad Hosseini. 8. A memorandum of understanding in the field of drug combat signed by Ministers Sayegh and Nikzad. 9. 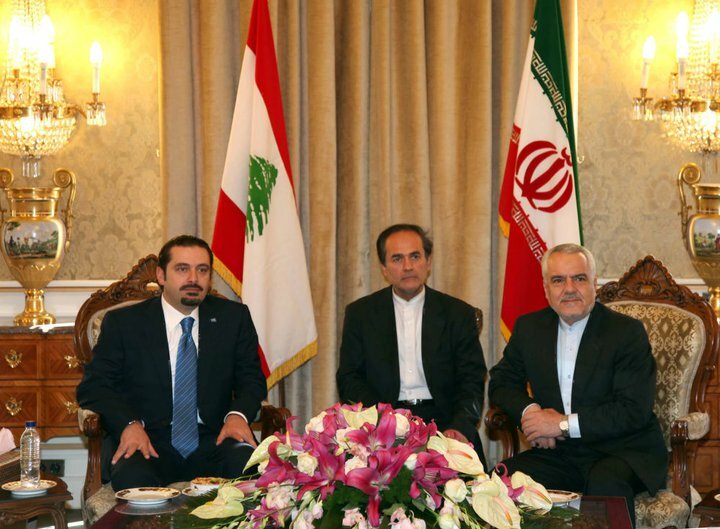 A memorandum of understanding on the cooperation between the Lebanese and Iranian Ministries of labor signed by the Lebanese Minister of Labor Boutros Harb and the Iranian Minister of Labor and Social Affairs Abdol Reza Shaikhol –Eslami. After the signing of the MOUs, PCM Hariri and First Vice President Rahimi held a joint press conference during which Rahimi was asked about the impact of PCM Hariri’s visit on the relations between the two countries and whether Iran will play a role in easing tension in Lebanon regarding the Special Tribunal for Lebanon? Rahimi said: Iran is very delighted with this blessed visit which will undoubtedly strengthen and support the foundations of the existing bilateral relations between our two countries. We highly appreciate the results of this visit because it will enhance the bilateral relations and the existing cooperation on the bilateral level. Thus, this visit comes immediately after the visit of President Ahmadinejad to Lebanon, and we see that it will enhance bilateral relations on all levels. Regarding the tribunal, we do not see that the problems have reached this situation, and we believe that the wisdom and dexterity of PCM Hariri and of senior Lebanese figures can to contain and resolve this crisis easily, and we have full confidence in the wisdom and statesmanship of PCM Hariri to resolve all topics in this context and that the Lebanese government will solve all these problems. Concerning the Tribunal, the Islamic Republic of Iran supports the truth in its true sense, and we stress in this context the necessity for the International Tribunal to be very far from the political rhetoric, and to distance itself from this rhetoric, as we have also confirmed that we are with revealing the truth and solving the problems in this context. We would like to emphasize as well that Iran always stands by the Lebanese unity and harmony, and we believe that all Lebanese groups and parties must unite and come together to resolve the quarrels on the Lebanese arena and to focus on their true enemy. Thus, we are with the unity and independence of Lebanon, as we are with strengthening the bonds of brotherhood between the Lebanese and we officially support this orientation. 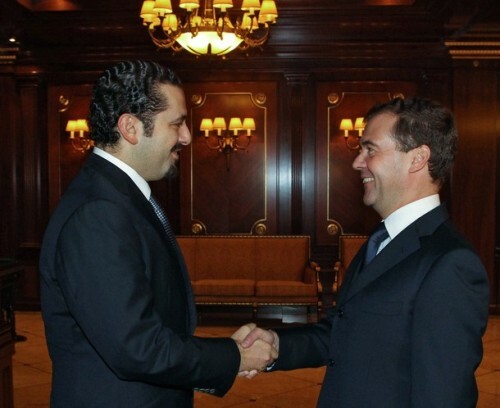 Question: Prime Minister Hariri, how do you assess the results of your visit to Iran? PCM Hariri said: “First, I would like to offer my heartfelt thanks to the Supreme Guide Ayatollah Ali Khamenei, the President, the government and the people of the Islamic Republic of Iran. I want also to underline the good results we reached during our talks with His Excellency President Mahmoud Ahmadinejad, First Deputy President Mr. Rahimi and all the other ministers. This visit reestablishes a good stage in the Lebanese- Iranian relations, and I was able to personally follow-up some of its aspects through the successive visits carried out by Martyr Prime Minister Rafik Hariri to Tehran. Today, we are following the same path and we continue to work for the development of relations between the two countries and follow up the steps which began with the recent visit of President Michel Sleiman to Tehran, and then the visit of His Excellency President Dr. Ahmadinejad to Beirut. First: The political results of the visit were good and useful because they reaffirmed the common fundamentals of the relationship between the two countries, and that Iran is a friendly state that wants the best for Lebanon and all its citizens. 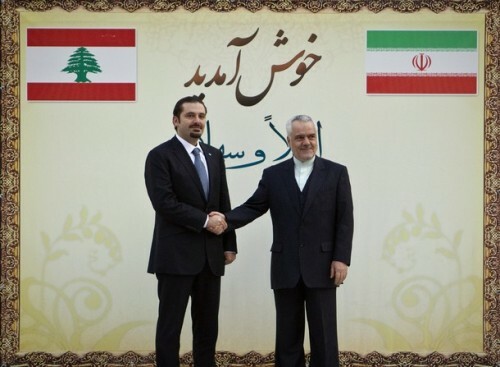 And we, on behalf of the National Unity Government, which represents all the Lebanese people, express a national Lebanese will in building friendly and strong relations with the Islamic Republic of Iran based on common interests, mutual respect, and constant communication between the institutions and the concerned administrations in both countries. Second: the economic results of the talks made great steps towards a serious and responsible dialogue, and we look forward for its continuation through the establishment of the higher joint Lebanese-Iranian Committee. 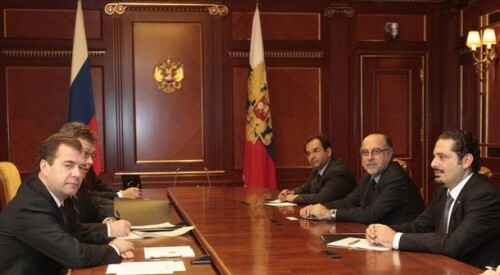 This step comes together with the understandings that are agreed to implement during the next phase, including the electricity and gas sector, oil exploration, exchange of technical and vocational capabilities and the exchange of expertise in the field of administrative reform. The comprehensive economic vision which we heard from the Iranian leadership can be relied on for the sake of a wide–ranging economic and social development that would include in its positive results more than one Arab and Islamic state. Lebanon can constitute, with an equivalent Arab group, a vital chain of cooperation and coordination in the major regional economic positions, especially after the understanding which was signed by Lebanon, the Turkish Republic, the Syrian Arab Republic and the Kingdom of Jordan. Third: Lebanon thanks the Islamic Republic of Iran for its support against the Israeli war and its repercussions on the Lebanese people in all areas and particularly commends the excellent support provided by Iran to our people in the South, the Bekaa, and the southern suburbs. Fourth: The link between the Lebanese internal stability and the regional stability was at the core of the discussions we held. This necessitates reassurance on a number of political constants that stability should be based on, including Lebanon’s right to liberate its land in the South, Lebanon’s commitment to the implementation of Resolution 1701, considering the Arab peace initiative that was launched from Beirut the principle basis for the peace process in the region, and the refusal of the Israeli measures the latest of which was the referendum law on the withdrawal from the occupied Palestinian territories and the occupied Golan. There is also Lebanon’s declaration that it will not be part of any international group to put pressure on Iran and impose siege on the Iranian people. Lebanon also asserts Iran’s right to possess nuclear energy for peaceful purposes, and calls on the international community not to spare any form of negotiations with the Iranian state for this purpose. The First Vice President said: In fact, we highly appreciate your current visit to Iran, and we salute the Lebanese Republic, because it defeated the enemy, we support a united, sovereign and independent Lebanon, and we are proud of Lebanon and its people. Our region and your region are related to the Prophet Ibrahim, peace be upon him and in fact, the fire which “alnamroudiyyoun” have sparked has gone and changed into paradise and happiness, and the fire they have set will burn them. Today the fire of these enemies has reached us while you are among your brothers in Tehran, and assassinated this morning two Iranian scientists. Those who claim to be against terrorism are supporting terrorism and assassinating innocent people, and we will reveal their identities soon. The Lebanese – Iranian friendship will blind the eyes of these terrible enemies and Lebanon will be more developed and proud, especially since it always stands victorious on the front lines. I think it is my duty to offer sincere gratitude to Your Excellency and to the Lebanese leadership for the warm reception and generous hospitality received by President Ahmadinejad during his visit to Lebanon, and I must express my sincere thanking and appreciation to the ministers who accompanied you during this visit. 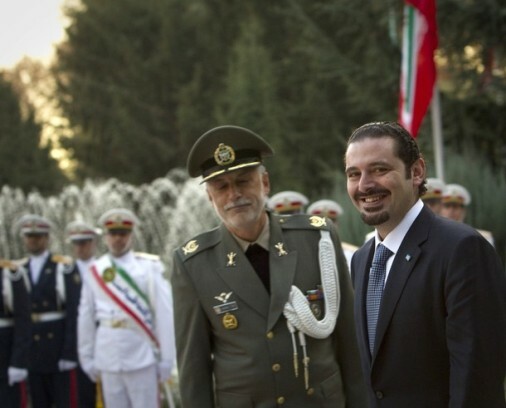 PCM Hariri said: Lebanon was honored to welcome President Ahmadinejad with hospitality as a token of appreciation to what Iran has offered to Lebanon and hopefully these relationships will last. As for the martyrdom of the two scientists today, we consider this to be a terrorist act and offer you our condolences and this act of terrorism must be fought. In Lebanon, there is a national unity government with one essential equation: the army, the people and the resistance, and this is what we are committed to and our national unity is what will protect us. We will pursue this path and we thank you very much, and thank the Iranian people as well, for their love of Lebanon. 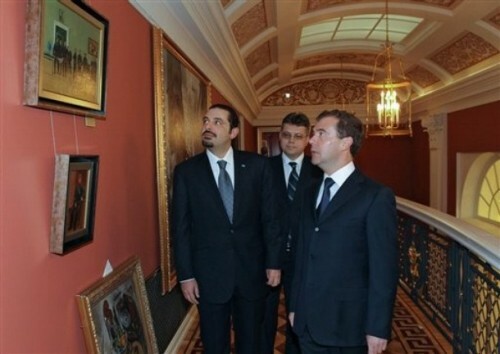 “According to the historical ties and friendly relations between the Islamic Republic of Iran and the Lebanese Republic, and after the successful visit of His Excellency Dr. Mahmoud Ahmadinejad, the President of the Islamic Republic of Iran to Lebanon this year, and his meetings and consultations with His Excellency President Michel Sleiman, President of the Lebanese Republic and His Excellency PCM Saad Hariri, which resulted in the conclusion of 16 documents and memoranda of understanding in various areas related to the development of relations, PCM Saad Hariri, visited the Islamic Republic of Iran at the invitation of His Excellency Mr. Rahimi, the First Vice-President of the Republic. He met with High-level officials in the Islamic Republic of Iran, especially His Excellency Dr. Mahmoud Ahmadinejad, President of the Republic, and discussed with them bilateral relations and regional and international developments. • In the light of the interest prevailing for the development and enhancement of relations between the two countries, both sides stressed their determination to consolidate these relations between the two states as well as between the institutions and to follow-up the implementation of agreements signed during the visit of President of the Islamic Republic of Iran to Lebanon, as well as the visit of His Excellency Saad Hariri to Tehran. • The Islamic Republic of Iran supports national unity and stability in Lebanon and its maintenance, and stresses on the equation of coexistence as a model for the democracy of accord in the country. • The Islamic Republic of Iran expressed its full support to the Lebanese state and the Lebanese people and the national and Islamic resistance in Lebanon against the Zionist enemy. • The Islamic Republic of Iran emphasizes on the need of the Zionist entity’s withdrawal from all the occupied territories in Lebanon, including the Shebaa Farms, Kfarshuba Hills and the village of Ghajar. • The Islamic Republic of Iran expressed its full willingness to put its potential and capacities in various technical, engineering and economic and agricultural areas at the disposal of the friendly countries, including Lebanon. • The Lebanese side expresses its appreciation of the role of the Islamic Republic of Iran in supporting the achievement of national unity, security and stability in Lebanon, and the two sides express their support of the common Saudi – Syrian effort in this area. • The Lebanese side supports the right of the Islamic Republic of Iran in the peaceful use of nuclear technology, and opposes the double standards and discriminatory policy with respect to the nuclear arsenal and weapons of mass destruction of the Zionist entity, which pose a threat to regional peace and security, and calls for a Middle East free of nuclear weapons. • Both sides condemn the assassination that targeted the Iranian scientist and university professor in Tehran this morning, and consider this crime in the context of terrorism against the Iranian people. • The Lebanese side announced its commitment to the Arab peace initiative, and the two sides confirmed their support to the struggles of the oppressed Palestinian people in order to liberate all Palestinian territories and the recuperation of their legitimate rights in an independent state and Jerusalem as its capital. The two sides highlight the right of return for the Palestinian people, and reject all Zionist attempts to impose any conditions on withdrawal from all occupied Arab territories. • The two sides emphasize the necessity of unity and cohesion between all the Muslim States and people, and the need of all concerned parties to take the appropriate action and deal with the temptations of sectarianism, which is without a doubt in the benefit of the enemies. • The two sides express their support for the achievement of justice and finding the truth in the assassination of martyr Prime Minister Rafic Hariri and his comrades, and for not exploiting the tribunal politically. • The two sides agreed to form a higher joint committee under the presidency of the First Vice-President of the Islamic Republic of Iran and the Lebanese Prime minister. Recep Tayyip Erdogan arrives in Beirut amid soaring tension as Hezbollah fears UN indictment for Hariri killing. November 24, 2010 (KATAKAMI / HAARETZ) — Turkish Prime Minister Recep Tayyip Erdogan arrived in Beirut on Wednesday for a two-day visit that would include talks on the tense political situation in Lebanon. Erdogan is to meet Lebanese government officials and lawmakers from Hezbollah, according to a government source. The Turkish premier, in remarks published Wednesday in the Lebanese daily As Safir, said his country would not allow Lebanon to deteriorate into a civil war. “Now is the time for unity in Lebanon,” he said. 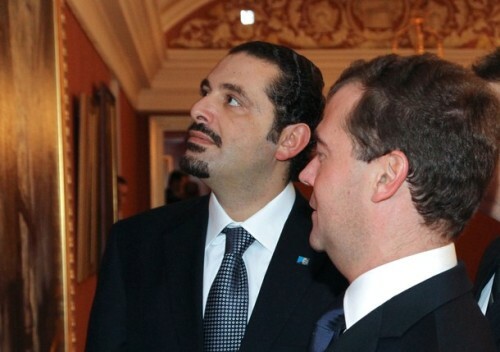 His visit comes ahead of the release of the findings of an international tribunal investigating the 2005 murder of former Lebanese prime minister Rafik Hariri. Political tensions have mounted in Lebanon amid indications that some members of Hezbollah are to be indicted in the case. The militant Shiite group has said it will not accept any accusation against any of its members, and warned of the repercussions of such an outcome. During his stay in the country, Erodgan is also due to visit Turkish troops deployed with the United Nations Interim Forces in Southern Lebanon and inaugurate Turkish-built schools and a rehabilitation centre.